This mineral source is at the origin of Evian’s international reputation. Analysed in 1807, this water is recommended for its healing properties and has seen its success grow as a table water since 1860. The Cachat source belongs to the Evian Mineral Water Limited Company. Inaugurated in August 1902, the hydrotherapy institute was then considered as ‘an example of its kind’. Open from 15th May to 15th October, it can administer 1200 treatments per day. The architect Ernest Brunnarius designed a building with imposing dimensions surmounted by a dome of more than 30m on a square base. The Palais Lumière is now used for exhibitions. 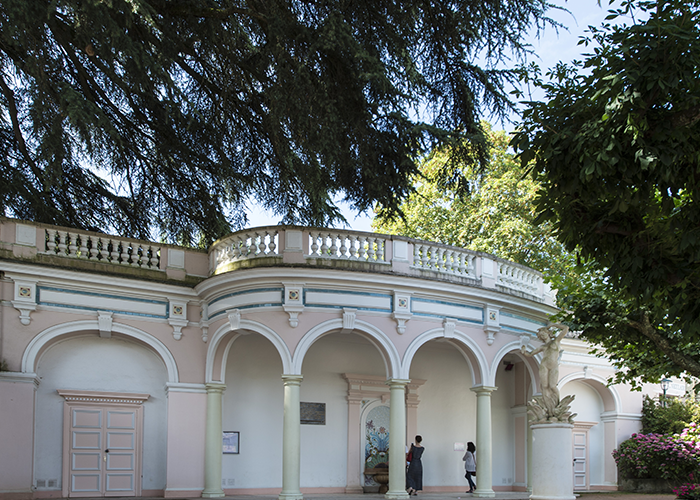 It is also home to the Media Library and the Evian Congress Centre. This rack-and-pinion electric funicular was built in several sections between 1907 and 1913 by Koller, the Lausanne engineer. It transports tourists from the quays (port, spa, casino) to the big hotels (Splendide, Royal, Ermitage), passing the Buvette Cachat. It’s known as ‘the little Evian underground’ because it serves six stations and faience tiles adorn the walls of its stations. 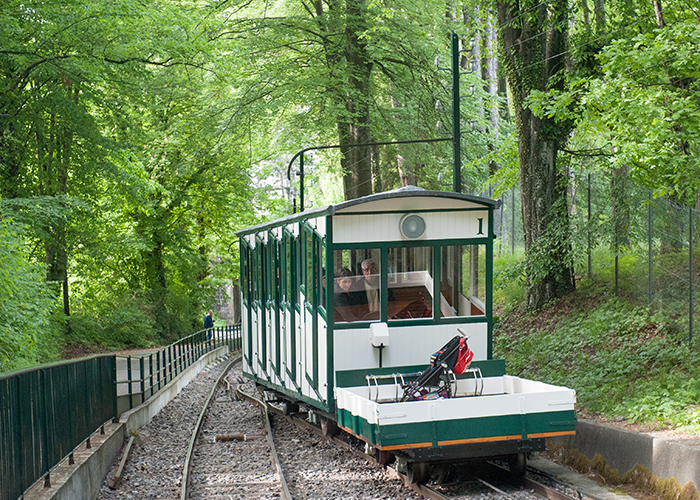 The funicular is a rare piece of European railway heritage and is one of only three survivors of 19th and 20th century funiculars. 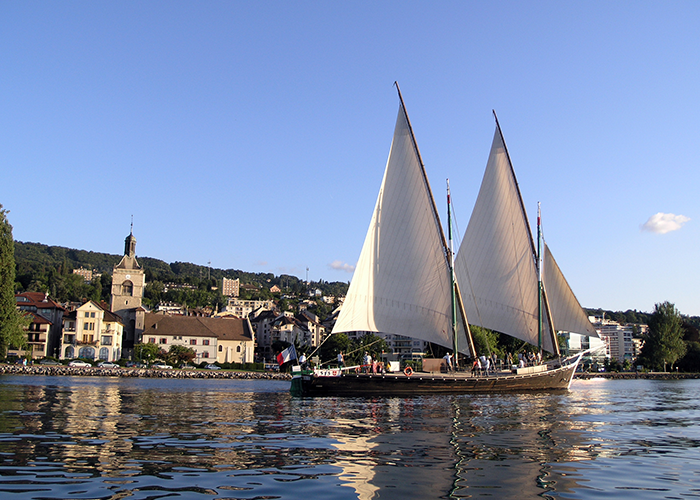 When joining a sailing trip or a discovery cruise, board a legendary boat for a timeless ride, admire the magnificent landscapes of Chablais and Switzerland and immerse yourself in the world of the boatmen, who for many centuries guarded the lakeside life and commerce on the shores of Lake Geneva. A site that can only be reached by solar boat, to respect its confidentiality, you find yourself at the heart of 3.5 ha, entirely dedicated to wetlands. In front of you, a colonial style house, which seems to float on the water, and inside, the brand new exhibition. Visit the gardens but start with the house? That will stir your curiosity. And that’s all the better, because once you get back, this curiosity will be your best ally. 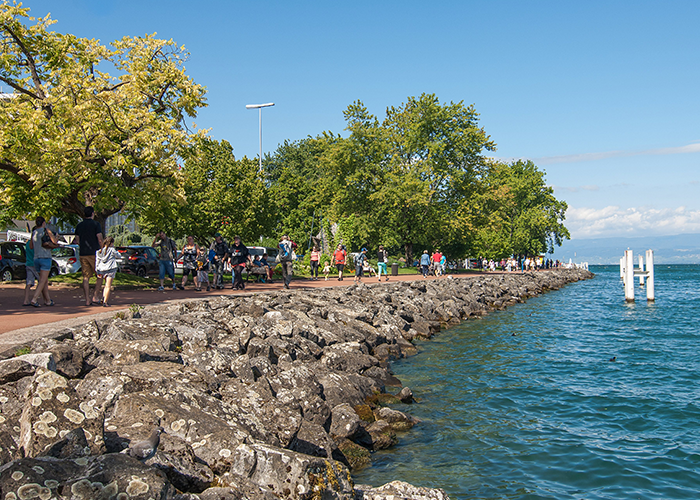 Strolling means taking your time, and in Evian, that’s what we do best! 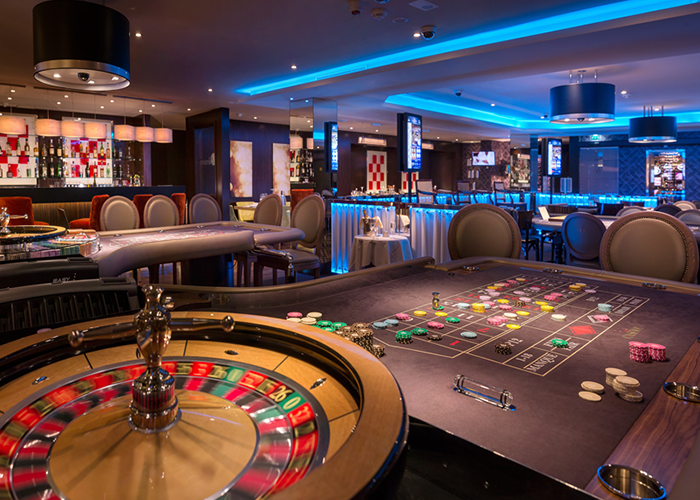 What’s more, the setting, with Lake Geneva at the edge of the town centre, offers a soothing and relaxing atmosphere. A pure moment of relaxation, a deep breath, equilibrium. 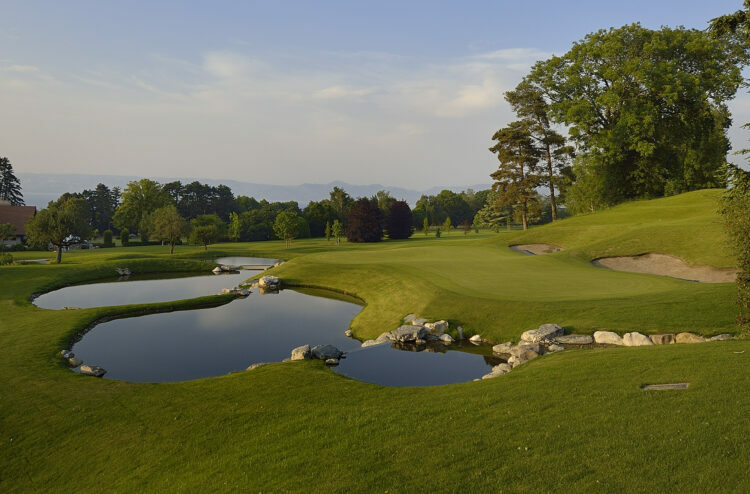 With a legendary championship course and an exceptional environment, the Evian Resort Golf Club promises a unique golfing experience. 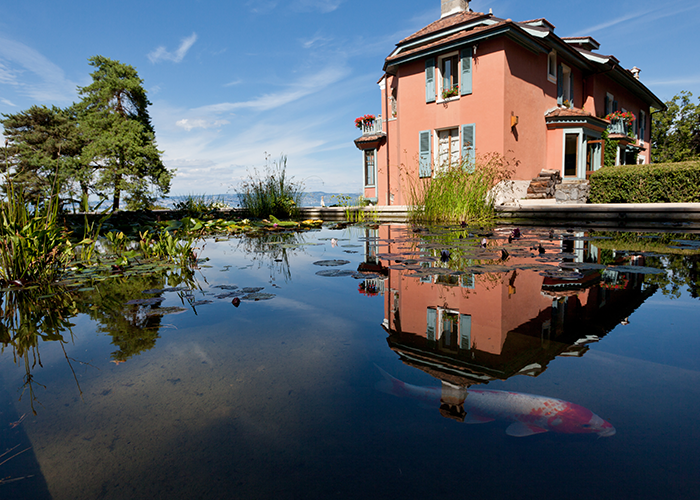 The Grange au lac was inaugurated in May 1993 to host the Rencontres musicales d’Evian. This auditorium blends into its environment, a larch wood, within the parkland of the Hotel Ermitage, overlooking the Royal Hotel. Midway between a Savoyard barn and a Russian dacha, it is entirely built of wood, red cedar and Jura pine, a material which slowly develops a patina with time. The architect Patrick Bouchain, assisted by BAOS, designed this room that can hold 1200 people and 200 musicians, and has exceptional acoustic qualities. Recognisable by its white to grey scales, with a touch of blue, and appreciated for its firm and delicate flesh, the féra is the promise of culinary experiences which are rich both in colours and flavours. 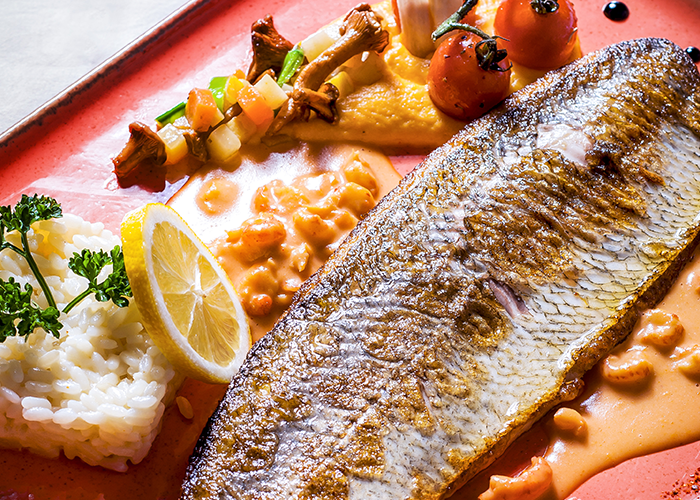 An emblematic fish of Lake Geneva, it is today honoured by an ambassador of Evian cuisine: Teddy Helart, chef at the gourmet restaurant Les Cygnes. The current casino was built in 1912 by the architect Albert Hébrard to replace the chateaux des barons de Blonay, destroyed the previous year. 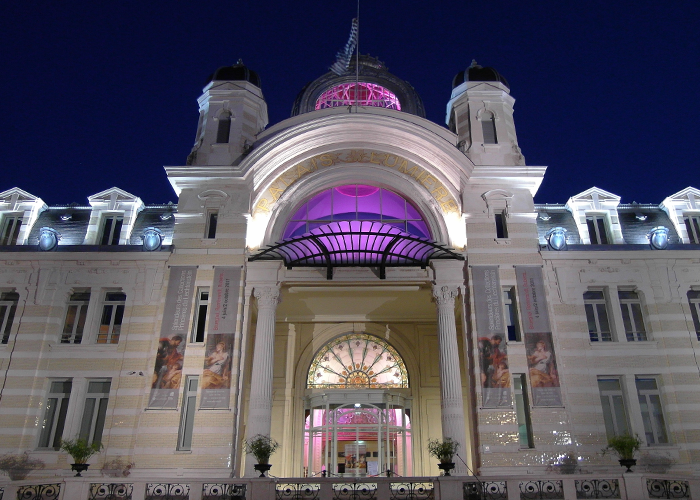 The final descendant of the Chablaisian branch and mayor of Evian, Ennemond de Blonay (1838-1878) had created a municipal casino before bequeathing it to the city. A 15,000m² footprint on the lake, it includes a new quay and gardens. 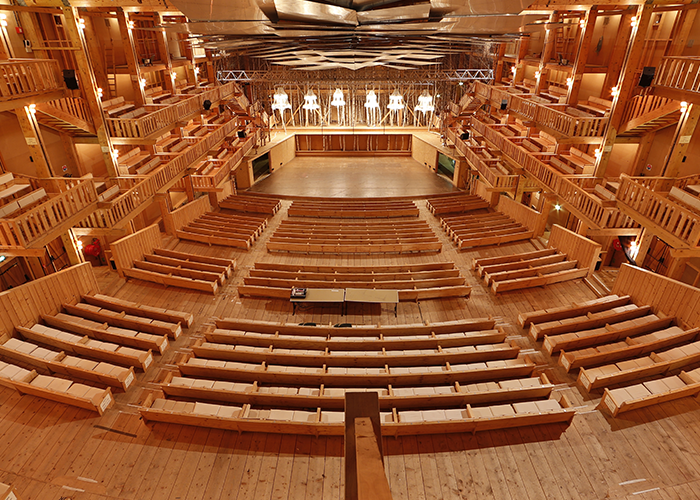 The building has the shape of a large central hall which opens on to all the other rooms: concert halls, games and reading rooms, and a restaurant.